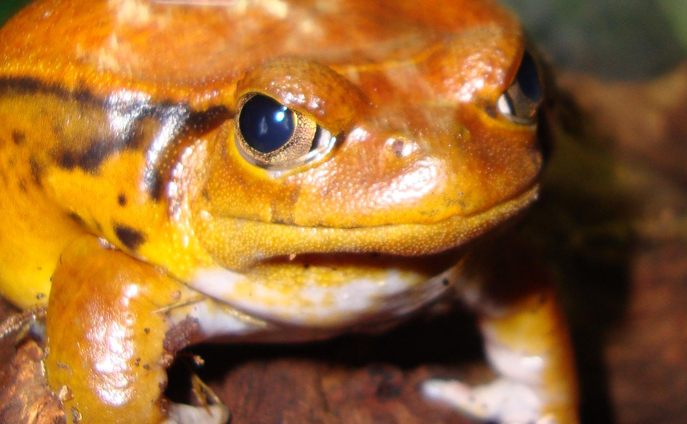 False tomato frogs are native to northwestern Madagascar. The frogs live on the forest floor, burrowing into the leaf litter. Female false tomato frogs can be as much as twice the size of males, and a significantly brighter red colour. Females lay their eggs several hundred at a time into stagnant pools on the forest floor.